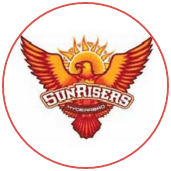 Sunrisers, having Mustafizur Rahman and Rashid Khan in their ranks, might have still felt they were in with a chance, but the lack of grip and turn off a dew-slicked pitch doused it. That Mustafizur conceded 34 runs in 2.4 overs summed up the impact of the dew. Parthiv Patel had made early headway in the chase with a slap-happy 39 off 24 balls. By the time he fell, Mumbai Indians needed 74 off 60 balls. Nitish Rana then worked his way through the middle overs with Krunal Pandya, but it was Harbhajan who fittingly sewed up the win. 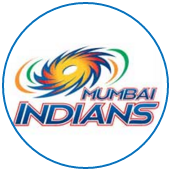 The chasing team has now won each of the last six IPL games at the Wankhede Stadium. The strangle I Harbhajan and Lasith Malinga got the ball to skid into Shikhar Dhawan and cramped him for room. The only real loose ball to Dhawan in the Powerplay was a waist-high full toss, which he punched straight to cover point. He eked out only seven runs at strike rate of 46.66 - his second lowest in the first six overs in the IPL, when he has played at least 10 balls.